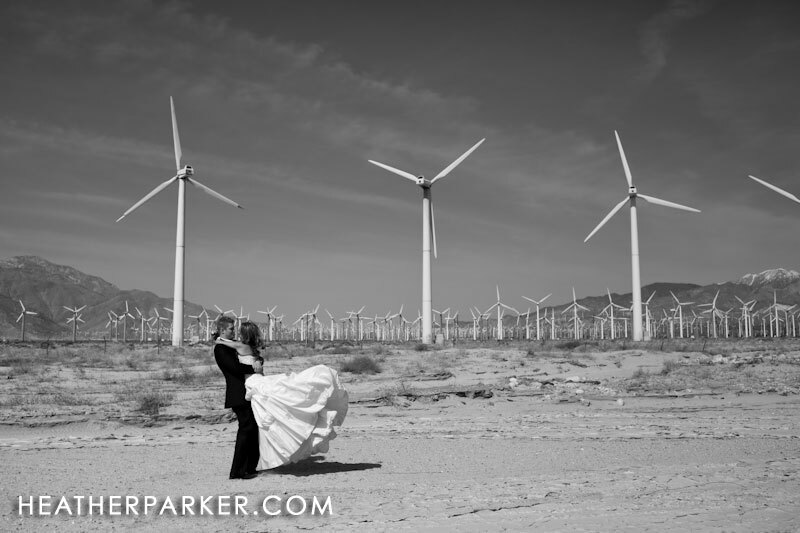 Palm Springs is the perfect spot for a destination wedding. Over the last few years I’ve have seen a sharp increase in the number of destination weddings hosted in this vacation mecca. Located in the Coachella Valley, during Hollywood’s Golden Age, Palm Springs became a favorite playground of the rich and famous. Why do I love this destination? It’s breathtaking natural scenery, lavish resorts and top-notch shopping and entertainment are just a few reasons. Playing concierge to your out-of-town wedding guests is easy with everything that the city and region has to offer. Whether you are looking at the glamorous Viceroy Palm Springs, the JW Marriott Desert Springs Resort & Spa, Le Meridien Parker Palm Springs, or a private mid-century modern residence, the sky is the limit. Here is a sneak peek! I love when brides and grooms are up for some fun and creative ideas! Every moment I looked at the Palm Springs windmills, I thought of hundreds of flowers rotating around in the breeze. more photos to come soon darlings! spring is here! time for engagement sessions!